Rhone isolate for both red and white wines. Vigorous fermenter with a short lag time, this yeast creates enhanced mouthfeel and color stability due to polysaccharide-tannin complexing. Benefits include a high fore-mouth volume, big mid-palate mouthfeel, and intense fruit concentration in all wines, with the following differences: In red wines, ICV-D254 gives a jammy, concentrated, yet soft ripe fruit character, that can often have licorice and a mild spiciness to it. Red wines made with ICV-254 may be blended with ICV-D80 (DYW66) for a more concentrated, fuller-bodied wine. In white wines, however, butterscotch, smoke, hazelut, and almond characters are common but the yeast will definitely require nutrients. 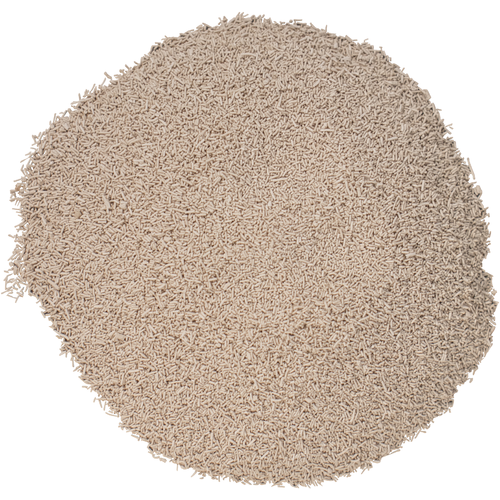 Some premium Chardonnay winemakers blend this yeast with CY3079 (DYW64) to create a wine with nutty aromas and a creamy mouthfeel. 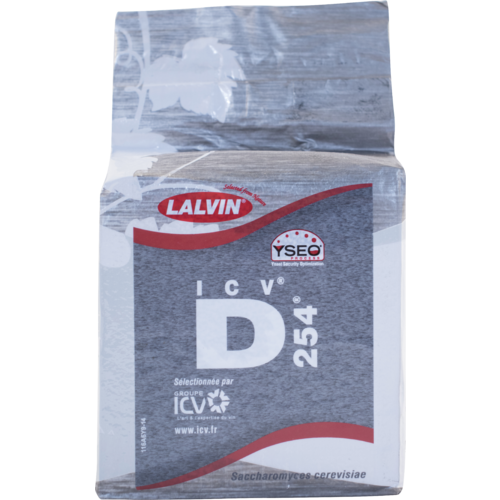 ICV-D254 is a vigorous fermenter, which means that it will run hot and fast if you let it get away from you, so rein it in if possible. For best results, 53 to 82 degrees F is recommended. Tolerant up to 16% alcohol. Good for adding complexity and body to a red wine. Super good results with our Cabernet Sauvignon and Sangiovese grapes last year, about 1600 lbs and 800 lbs, respectively. Easily fermented to near-absolute dryness. I have used this yeast previously with good results. I making Malbec and the MoreWine manual does not include this varietal so I found an article in Wine Maker magazine. This is my go to yeast. Never had a problem and always has finished strong. I’ve used D254 yeast before and it is great for almost all red wines. I like it especially with Cabernet and Syrah. i use this yeast for quite a Number of years and I continue use it because I always have very good fermantion and also very good taste and colour. After consulting with the people from Lallemand, I decided to use a D254 for half of my 2013 Chilean Malbec. The other half I used D21. I then blended them back together prior to secondary fermentation. It is an awesome way to see what different yeasts contribute and when they come together they make even a more complex wine.